Movers that work in Clear Lake, TX have never been busier. As one of Houston’s outlying communities, the area is receiving a steady influx of professionals working in the oil & gas and medical industries. Its proximity to the Houston Ship Channel and port, as well as its proximity to Pasadena, makes it an ideal location for professionals and technicians alike. It’s also an ideal place to raise a family, with a number of quiet, interesting communities, and several family friendly attractions within a few miles. There’s even a University of Houston branch in the area, offering residents a chance to take courses and further their education. How can movers in Clear Lake, TX help a homeowner settle into the area? Many people find a relocation to be the most stressful part of adjusting to a new home, which is why homeowners often look to professionals to assist with the process. Professional relocation services are much more efficient and precise than bringing in some friends and family, though that isn’t a surprise. What might be a surprise is how helpful a relocation company can be. In addition to loading and unloading everything, a relocation company can help with packing, driving, and transporting special items like a safe, a piano, or other especially heavy items. Professional packing, in particular, is something homeowners like to take advantage of because it is often the most tedious, time consuming and physically taxing part of the process. Expert relocation crews know how to pack everything to ensure it remains safe while in transit, and have the special equipment needed to carry anything safely. Organization is also a focus, and professional packers will keep things grouped together based on the room they go into. Everyone has been through a relocation where things were just thrown into boxes by the end, just to get it over with. Of course, this often leads to the family having to live out of boxes as things are slowly discovered where they shouldn’t be. 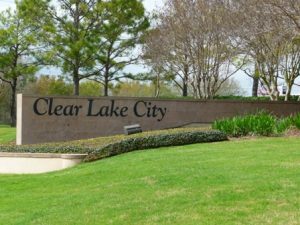 What kind of relocations can movers in Clear Lake, TX help with? The Houston area is one of the fastest growing places in the U.S., and people are traveling from around the country and world to start a new life in the city. Because of this, any movers in the Clear Lake, TX area have to be ready to help with some complicated relocations. JT Melia Moving and Storage has offered its services for more than 40 years, and has expanded its capabilities to such a degree that it can assist with any relocation, residential or commercial. This includes interstate and international relocations, which can be exceptionally complex. JT Melia also maintains a secure, sprawling storage facility that is climate controlled and offers vault storage. This makes it the perfect location for fragile items like artwork, and can serve as a short (or long) term bridge until the family gets settled in. Professional movers that work in Clear Lake, TX will be a homeowner’s best friend come relocation day. And with their help, what is normally a stressful process can be handled with ease.